FREDERICK, Md. (September 3, 2018) - In the final game of the 2018 season, the Myrtle Beach Pelicans were bested 2-1 on Monday by the Frederick Keys from Nymeo Field at Harry Grove Stadium. Jared Young put the Pelicans (61-78, 27-42) on the board against the Keys (65-72, 30-38) in the second inning when he scored on a double play to make it 1-0. In the fifth inning, Collin Woody slammed a two-run home run off of Tyson Miller (9-9) to give the Keys a 2-1 lead. Miller finished with four strikeouts to nab the Carolina League's strikeout title in 2018. Cristian Alvarado (12-11) earned the win, allowing one run over five innings. Travis Seabrooke threw the last two innings to nab his first save on the season. 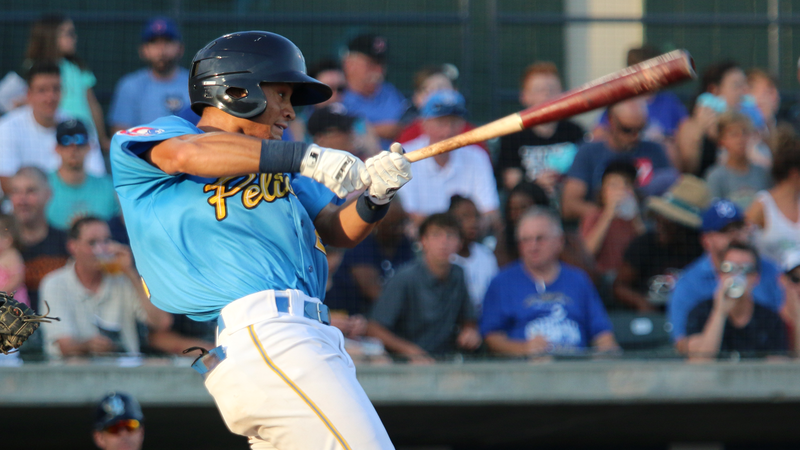 Zach Davis finished 2-for-3 for the Pelicans in his final game.